A few years ago, any offer to purchase a home in San Carlos which also contained a Sale of Buyer’s Property Contingency, would have been laughed at. Today, offers containing this contingency are being accepted on a more frequent basis. Even though our market has been on a bit of a roll over the past 6 weeks, buyers who have a current house to sell are not being automatically dismissed…..if the price is right. (1) Where is the buyer’s current home? For instance, a smaller home in San Carlos is going to gain the buyer a lot of brownie points. A 2/2 condo in San Jose, won’t. (2) How soon can the buyer’s current home be on the market? Most listing agents will want to see the buyer’s home on in less than a week. (3) What will the price be? A good listing agent will go visit the buyer’s current property and determine the feasibility of the buyer’s home moving quickly at the projected list price. (4) Who is the buyer’s agent? It’s probably the most important of these four points. If the buyer’s agent is competent enough to understand how the circumstances all blend together and stay away from the pitfalls, the buyer will stand a good chance of not only putting the deal together, but actually closing the transaction. Remember, that more than anything else, a seller who agrees to an offer where the buyer will first have to sell their current home is essentially handing the welfare of the deal off to the buyer’s agent. Those that monitor the MLS carefully will notice that one type of pending status is pending with release. 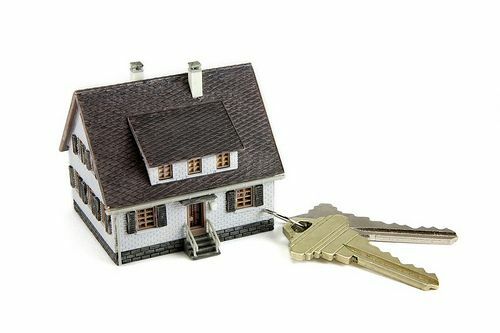 This status means that technically, the property is pending, but the buyer in the transaction has a home to sell before the transaction can be completed. “Release” is the key word. If a second buyer wanted to put an offer on that same home, the buyer could do so. If it was an offer that the seller wanted accept, the seller could put the current buyer who they are in contract with on what is called a 72 hour Kick-Out Clause notification. This means that the current buyer has 72 hours to either remove the contingency for the sale of his current home and close the escrow on time, or back out of the contract without penalty. Under the standard terms of an ordinary Sale of Buyer’s Property Contingency, the buyer could have their contract accepted, put their home on the market, and a day later the seller could initiate the Kick-Out Clause if they received another offer that was acceptable to them. This puts the current buyer in a precarious situation. They have not had any time to market their current home, and they are left with the unenviable situation of having to either back out of the contract or take a risk that they can sell their house in enough time to close the escrow on their new home without penalty. The Kick-Out Clause can be minimized by simply negotiating a clause that states that the Kick-Out Clause will be of no force and effect until so many days after acceptance of the buyer’s offer. A reasonable amount of time to hold off on enforcement, in my opinion, is 14-21 days. The wording that is chosen to put together this clause is crucial and should be reviewed by your agent’s broker or attorney.